Happy Monday! I hope everyone had a good Easter weekend- the state ended up giving us Friday off, which was just what I needed. We had a couple of good thunderstorms, including ten minutes of the biggest hail I've ever seen in this part of the country. We did some garden prep, watched movies, and I knit a lot, so it was pretty much a perfect weekend. I finished my Drift Crop Top on Friday night, and I need to get pictures for you all, because it is exactly what I hoped for. I'm so pleased. My attention is now turned to Corrine, and I'm loving knitting this up. 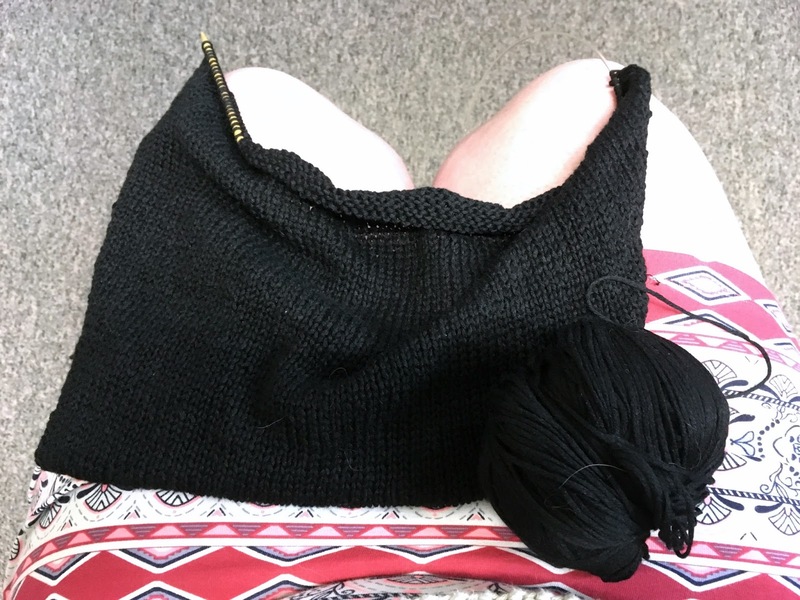 I wear a lot of black, but I haven't actually knit much (any?) black things, so when I found this bag of yarn at the thrift store I was thrilled. It's a bamboo-soy blend, and is about the slinkiest thing I've ever knit with. I have just enough yarn, so I might end up shortening the sleeves a little bit- we'll have to see how the body goes. I have several more summer knits I want to do this year, so I definitely want to get this one finished during the KAL. 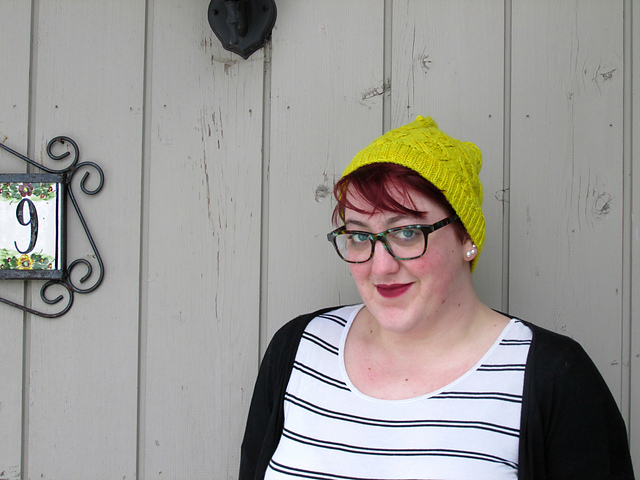 I fell in love with this pattern as soon as the summer 2016 Holla Knits collection dropped, and I know I'm going to love wearing it! So smart to knit a black sweater! I have a black cardi that has been stuck in WIP world forever, because the pattern was far too annoying... I still think i'll finish it one day, though. So glad that you are already making amazing progress with the TTTTKAL!